Hi, I'm Sandy! 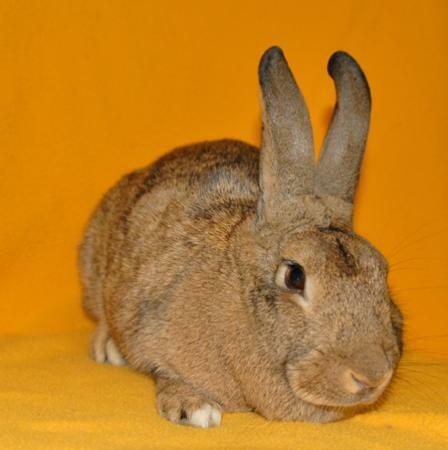 I'm a resplendent female brown Agouti rabbit. Now, if you think I'm pretty in this picture, wait until you see me in person! I could use some extra attention right now because I'm feeling a little sad that I'm here in the shelter, although I guess it's safer than being outdoors where all those predators are! But still, they are running out of room here and I am ready to be taken into my new home. I am a darling, good-natured girl, and I love to be stroked gently behind the ears. Will you be my new guardian who will protect me and keep me healthy and happy? If you'd like to meet Sandy, please bring her ID number with you to San Francisco Animal Care and Control. Hours of operation are 12-6 pm. Open 12-7 pm on Wednesday. You will need landlord approval if you rent.